So... Procedures are amazing. I wasn't very happy to see the old event system being removed but actually, the Procedures are extremly more free. I can do a lot of things easier or lot of new things with them but they're something missing for me. 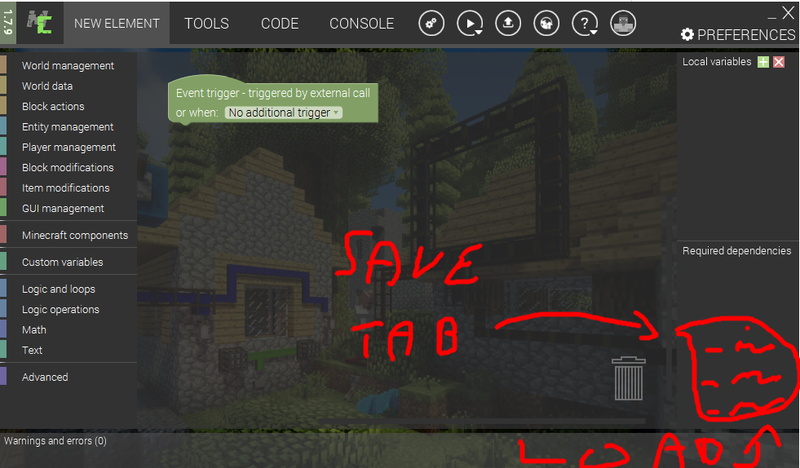 A save tab for Procedures. You don't like that idea ?.. I have another idea ! Simply add a small button to duplicate a procedure and rename it. It's really cool too ! It would be a huge time not wasted if we could do that. And it would help lot of people. Nice suggestion. We will consider adding this feature. 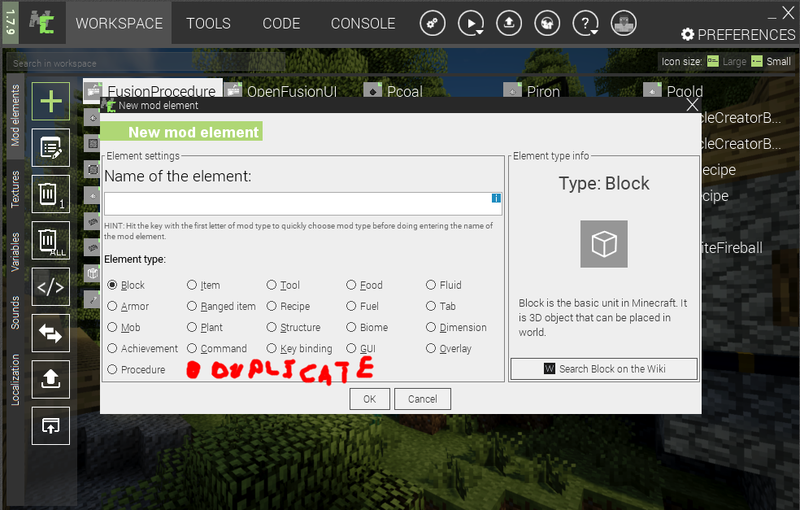 You can already copy and paste blocks inside procedures, but it would be great to be able to reuse the whole procedures too. As the feature queue for 1.8.0 is closed right now, it might not make it in 1.8.0, but we will see based on the amount of the time we will have. Regarding the second request, please open a separate ticket for it so we can track and close each issue separately when the feature is added. Oh, it's not a second request, it's another idea if you don't like the first.